Jewelz is a family favorite - the kids love her, and she loves them (and everyone else for that matter). 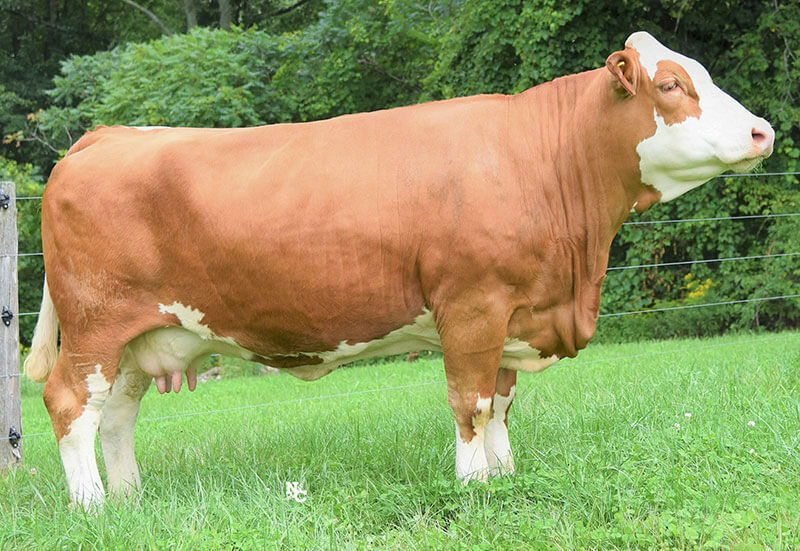 Her fertility and docility are notable, as is her milk epd, which is in the top 1% of the breed. 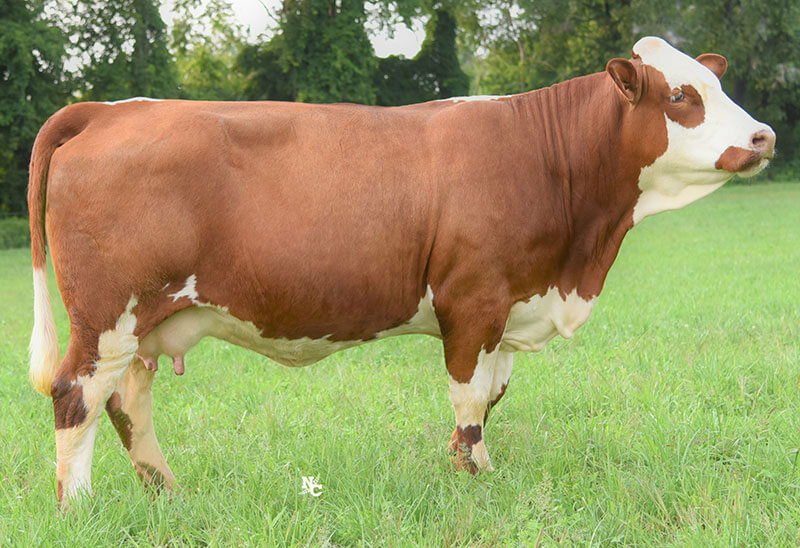 She breeds back early every year, has always calved unassisted and been a true worry-free cow for us. She is a maternal masterpiece and we feel very fortunate to have her. Her attitude and performance has earned her a lifetime here at our farm. Designer is a newer addition to the herd that we are very excited about. She’s a solid, deep ribbed cow in a moderate package. She milks well, has a lovely personality, and displays great mothering abilities.